Studying abroad is likely to be an exciting, enriching and fulfilling experience. But initially at least, it may also feel daunting and at times overwhelming. New international students have to adapt to a new place, new culture and perhaps a new language, all at the same time. 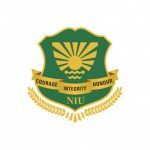 We know how difficult it is to leave home and come to a foreign land- keeping this in mind we at NIU provide special services to our international students in both our conveyance and accommodation departments. In order to attract talented students Noida International University offers generous scholarships to meritorious students. For International Admission Please Contact Office of International Relations. Office of International Relations has dedicated staffs committed to the needs of international students. We provide guidance to international student’s right from their arrival in the institute in matters of their cultural, legal and academic needs and other issues of relevance. NIU International office has dedicated officers to serve the needs of International student’s welfare. They serve as the first point of contact for all international students and all their queries are answered .They are always available for the students to facilitate their pick up from the airport to their stay, logistics, their mandatory registration, visa verification, police information, etc. The goal of International Relation office is to enhance internationalisation at NIU. It is the central contact point for international students and researchers – before, during and after their study at NIU. It also supports domestic students and researchers from NIU with all questions concerning international mobility. It coordinates international partnerships and develops programs with partner universities. After the verification of your documents you will have to deposit the registration fee i.e. 350 USD. Once the payment is received a provisional admission letter will be sent to you. After obtaining the letter you may apply for visa. One of the most important things all international students must do is that he/she has to register with the Foreigner’s Regional Registration Office (FRRO). This must be done in 14 days of arrival or else you attract a penalty fee. * An additional INR 1000/- to be paid per semester as Activity fee. * Scholarships is applicable only on tuition fee for first year. * Additional Security of INR 5000/- (Towards Equipment & Studios) Would be charged. * Additional Charges for examination, RDC, thesis would be applicable separately. Q 11 LAGOS STREET / KONTAGORA ROAD .KADUNA NIGERIA.